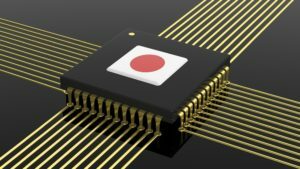 Fujitsu, one of the largest Japanese employers in Europe, has drastically reduced its hardware product range over the years, withdrawing from personal computing, mobile phones and semiconductors. Its CFO, Hidehiro Tsukano has said “we are no longer a manufacturer”, according to the Nikkei. The turning point was the appointment of Tatsuya Tanaka as President in 2015, himself from the industrial solutions sales side of the business rather than an engineer, with experience in Asia. Tsukano believes profit should come from the value added by human beings rather than things. Because of Japan’s labour shortage, Fujitsu has been focusing on IT investment in retailing and service sectors, working closely with Microsoft. However the consolidated operating profit margin to March 2018 was 3.6%, still far from the stated goal of 10%. Profitability per head (Y1.23m) is higher than NEC (Y0.58m), but still significantly below the misnomered Nomura Research Institute (Y5.35m) and Itochu Techno-solutions (Y4m). Tanaka said at the recent annual results meeting that his aim to hit 10% operating profit margin within his term of office may have to be revised. One major cause of this inability to reach higher profitability is Fujitsu’s overseas business, which is around 40% of turnover. The hardware sales model, based on sales of servers and PCs still remains and Fujitsu is in a price war with Lenovo and HP. It has not yet switched to the business model in Japan of adding value through IT services and the most recent quarter still showed a Y6.8bn loss. Human resource development might be the key to improving overseas profitability. Tsukano has said he wants to use some of the cash freed up from a change in the pension scheme to invest in employee education. A management policy briefing will take place in October, and although analysts are saying there is steady progress in reforms, they need to see some concrete measures for improving the profitability of the overseas business. Last updated by Pernille Rudlin at August 28, 2018 .